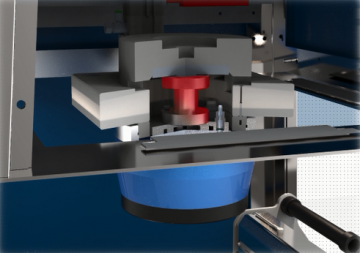 Moving Die Rheometer controlled by Personal Computer. 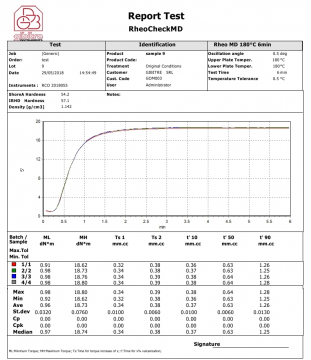 The Rheocheck MD - Drive measures the cure characteristics of a rubber compound in conformity with the international standards ISO 6502-3 and ASTM D 5289. The measure of the vulcanization is performed by measuring the evolution of the mechanical characteristics of the sample. 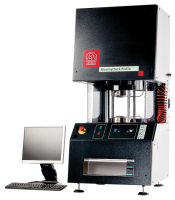 The instrument applies a cyclic strain to a test piece and measures the torque resistance of the sample. The test is carried out at a constant temperature and the measure of stiffness is recorded continuously as a function of time. 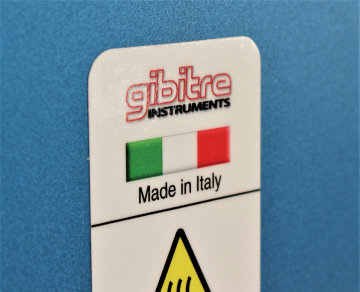 The instrument is totally developed and produced in the plant of Gibitre Instruments in Italy. All the mechanical parts are produced in the company workshop using modern CNC machines. Internal trained personnel takes care of all the production stages: assembly, start-up, calibration, packing, shipment and installation. Solid steel frame with epoxy powder coating. Easily accessible test area with transparent safety panel and safety lock. Die closure system with 4 columns structure to ensure long time stability. The top part of the frame is designed for the connection to a fume aspiration system Air filter and pressure regulation unit for pneumatic devices is integrated into the instrument. Pressurized test chamber conforming to the international standards. 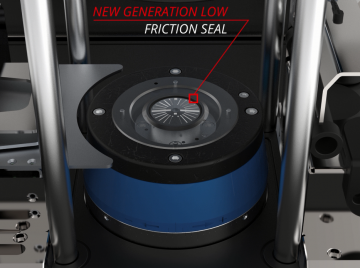 The formulation for the seals has been specifically developed by Gibitre to ensure Low friction and long duration. 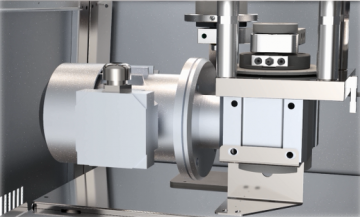 The micrometric adjustment of the distance between the chambers is carried out independently by the exclusive mechanical adjustment vernier. 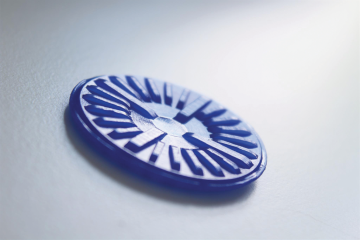 The device allows you to easily adjust the thickness of the specimen to meet the requirements of ISO 6502-3. The thermal insulators, used to avoid heat transmission, have been chosen for their excellent mechanical characteristics and low thermal conductivity. The insulators are coated with a surface treatment based on fluorinated polymers, which ensures extremely high resistance to chemical agents and ease of cleaning. The regulation of the temperature is performed using thermo-regulators with PID micro-processor and with 0.1°C resolution. 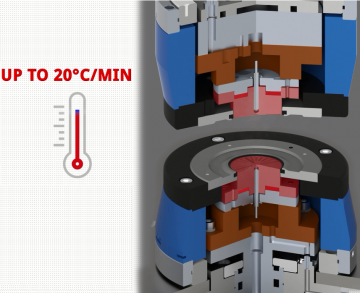 Independent temperature control units ensure sophisticate temperature control and easy replacement in case of failure. Electrical heating resistances have been specifically designed for this instrument to ensure quick and efficient heating. The test chambers are equipped with a compressed air cooling circuit, controlled by the temperature control units, which allows rapid temperature reduction. Calibrated gauges are supplied together with the instrument to easily set the oscillation angle to 0.5° or 1,0°. The Interface® torque transducer is positioned in the upper test chamber to minimize the influence of friction and vibrations. The instrument is equipped with a large touch-screen display with dimensions 10.2“. The buttons on the display permit to start and stop the tests. The display provides complete information about the status of the instrument: connection to the software, temperature of the dies, diagnostic of the sensors installed. A light panel, installed in the front part of the instrument, changes the color and permits to check the status of the instrument from a distance. The indicator light identifies the following statuses: Instrument ready, instrument under test, instrument setting test temperature, no specimen in the queue (with autoloader). The instrument can be optionally equipped with a pressure sensor for the testing of the expansion evolution of the sample during the curing. This option is useful for the analysis of cellular rubber formulations. The calibration of the instrument is performed in conformity with the requirements of international standards. The report includes the following calibration steps: distance between the test dies, temperatures of the upper and lower dies, thermal recovery time at the beginning of the test, oscillation angle, oscillation frequency, closing force of the testing chambers, measurement of torque, measurement of the calibrator spring supplied to the customer, dimensions of testing dies (optional). The calibration report includes complete traceability to the reference instruments used. 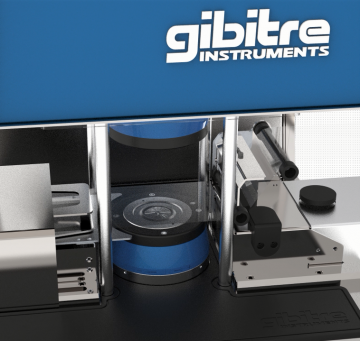 The calibration report includes the final check made with Gibitre standard rubber. 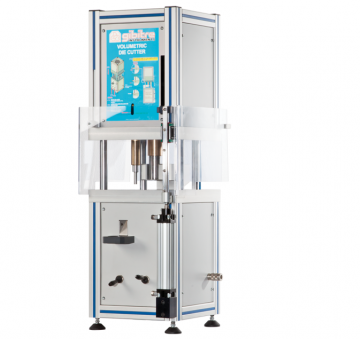 The device allows to position 5 test pieces on the loading slide and automatically perform the tests on all the samples. Before starting a test, the software automatically regulates the instrument according to the test conditions required for the next sample in the queue. 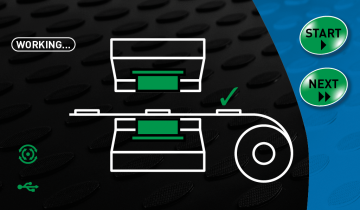 When the test conditions are within the expected tolerance limits, the sample loader moves the sample in the right position and starts the test. The software is connected to the standard SQL Gibitre database to ensure safe and solid storage of test results and curves. The program permits quick and easy identification of the tests to be performed and is optimized for the use of bar code reader (or similar identification device). Before the test start, the program activates the test procedure set for the product, automatically adjusts the instrument and sets the tolerance limits for the verification of the results. 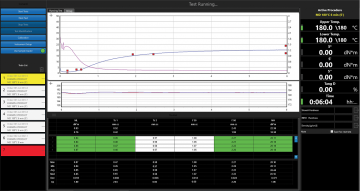 During the test you can plot the elastic curve (S’), viscose curve (S’’), complex curve (S*), Tan-Delta curve, curing speed and the temperatures of the dies. 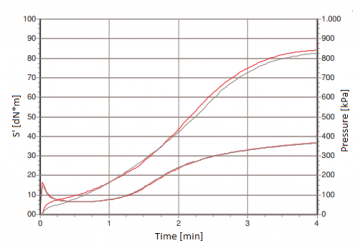 At the end of each test, the elastic curve is overlapped to the ones of the previous tests for immediate comparison. The curves are plot with different colors for easy identification. At the end of the tests the program saves the results, verifies the conformity with the tolerance limits and processes the statistical analysis (X-Chart, Gaussian, Media, St. Dev., Max, Min, Cp, Cpk). Can be printed or saved to pdf in one of the available languages. The format of the Test Report can be customized by the user. The Datagest program is the database management tool always installed in combination with all Gibitre instrument-control programs. 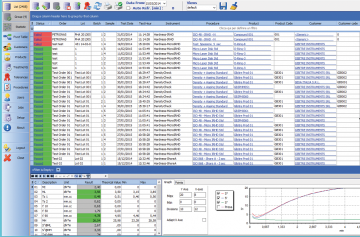 • Select, filter, print, export and analyse the test results stored with all the instruments connected. 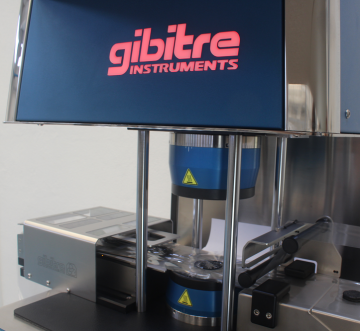 All the Gibitre programs use a database with SQL structure for saving the results. The database can be installed inside an SQL instance present on the company server or it can be installed on a PC connected to a measuring instrument. 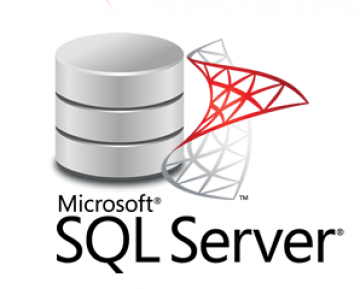 The installation of the Microsoft SQL service (Express version) is included in the delivery. • Class 1 Safety switch, which prevents the closure of the dies if the safety panel is not closed. • Safety lock of the maintenance access door, which ensures safe usage even in non-standard operation conditions. The instrument is fully compliant with CE safety regulation. 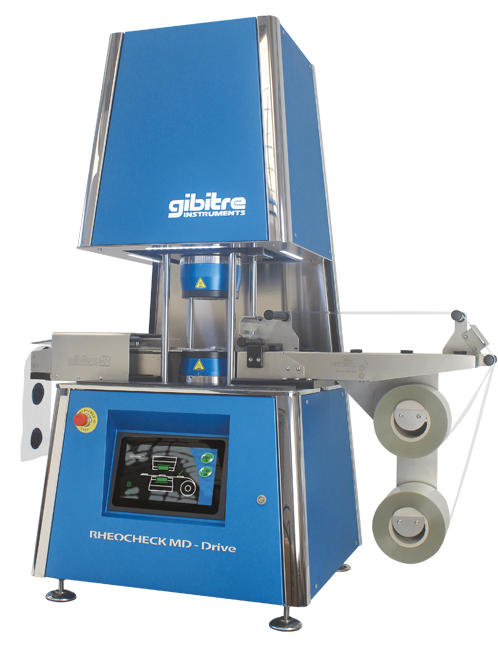 • Volumetric Die Cutter for the preparation of samples with constant volume required by the standard. • Polyester film rolls for the execution of tests with automatic sample loader. • Box of polyamide or polyester film sheets to perform tests without automatic loader.